The Food and Drug Administration (FDA) has announced that the Texas Pecan Company and Kanan Enterprises have voluntarily recalled macadamia nuts because of possible contamination with Salmonella. The Food and Drug Administration (FDA) has announced that the Texas Pecan Company and Kanan Enterprises have voluntarily recalled macadamia nuts because of possible contamination with Salmonella. The recalls include both raw and processed macadamia nuts. Please refer to the FDA websites (referenced below) for a list of affected products. Thus far, no illnesses have been reported. However, the companies have requested consumers to discontinue use of the product/s. Consumers are also informed that they can take the product back to the place of purchase for a full refund by the Texas Pecan Company. 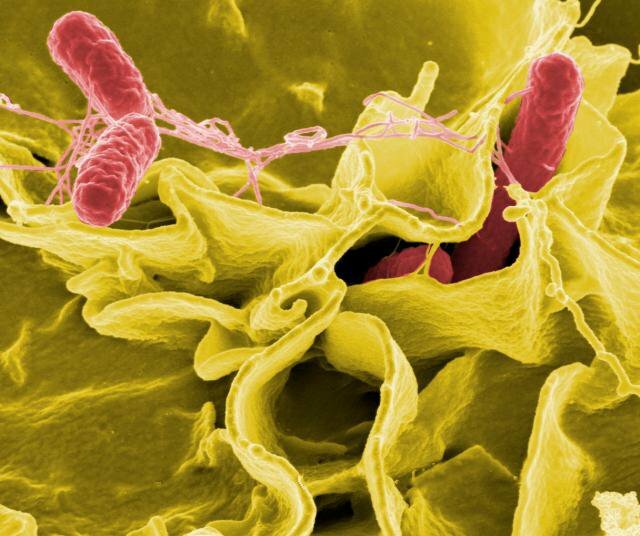 Elderly people, young children, and immunocompromised adults are at a higher risk for Salmonella infection. The Centers for Disease Control and Prevention (CDC) states that there are over a million illnesses caused by Salmonella each year, 19,000 hospitalizations, and 380 deaths. According to the CDC, most people infected with Salmonella recover within 4-7 days. Please refer to this article for information on diagnosis, treatment, prevention, prognosis, etc. for bacterial infections.